VIDEO FROM THE MEETING IN MARABAHAN! More and more people want to be part of Weenzee. On December 8, at a regular conference organized by Indonesian leaders in the city of Marabahan, there was an exchange of inside exclusive information about the development and prospects of the project. During this event, the top leader of Weenzee Panji Samudra talked about blockchain technology, cryptocurrency and unique partnership opportunities of the Weenzee project. The conversation was about the development of this sphere, its prospects and the possibilities of earning money. FREE TRAINING IN KAPUAS: INNOVATION AND BUSINESS! VIDEO ABOUT THE CONFERENCE IN TRENGGALEK! LOOK! At this conference there were many participants from different business areas. For example, a trader could meet a businessman there, and a miner with owner of a startup. Now the blockchain and Weenzee are interesting for everyone without exception. Of course,we also discussed our project Weenzee. Our lecturer spoke in detail about the features and advantages of our platform, about new technologies of robotic trading and about our international team of professionals. WEENZEE - NOW IN MALAYSIA! MAJOR EVENT OF DECEMBER! The next step forward has been taken: we are starting work in Malaysia - one of the most actively developing countries in the blockchain industry. The formation of the team has already begun and it will continue at a large conference, which we organize especially for you. Already this Saturday in India there will be a conference for the Top 50 Leaders of our company! The event will be led by Mr Amit Kumar: a serious specialist, a graduate of Pandit Ravishankar Shukla University, one of the most prestigious and oldest universities in the country. 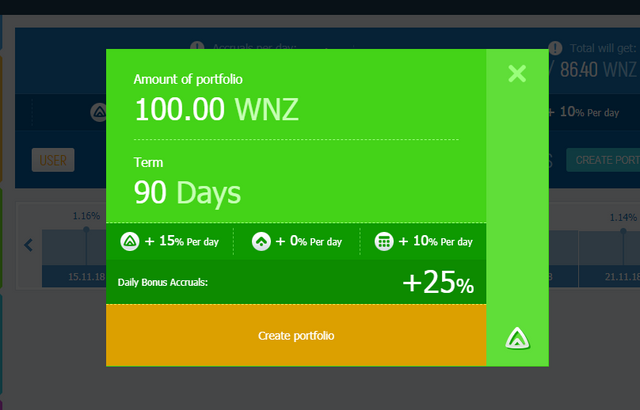 The number of requests for the acquisition of WNZ by fiat funds. Leaders of the dynamically developing Weenzee community solved this task with lightning speed by organizing a leader exchange office in China's most popular messenger: WeChat. 3 DAYS, 6 EVENTS: A TEAM FROM MAKASSAR INVITES YOU TO THE TRAINING! MERRY CHRISTMAS! WEENZEE CELEBRATES THE HOLIDAY WITH YOU! Weenzee Team wishes you a Merry Christmas! We wish you and your family a happy Christmas holiday. God bless you, happy New Year! We are pleased to work with you. Dear partners, leaders and participants of the Weenzee project! We sincerely wish you a Merry Christmas! We wish you success in your career and wealth. May the upcoming holidays be filled with fun, joy and happiness. Chinese representatives of Weenzee organize an event especially for their compatriots: a lecture-webinar on the Internet, on a special platform. They will tell about their experience of working with our company, about the advantages that it provides and about the features of the crypto-business.In fact, this exclusive information you can hardly get anywhere else. SEEING OFF THE OUTGOING YEAR WITH WEENZEE! CONFERENCE IN MARTAPURA! We continue active work in Indonesia. During the event, which is organized by our representatives, there will be discussed many issues related to the blockchain, cryptocurrencies and prospects for their development . All participants will listen to an educational lecture and gain new knowledge and skills in the cryptosphere. This training will benefit you in independence about your plans to participate in Weenzee. 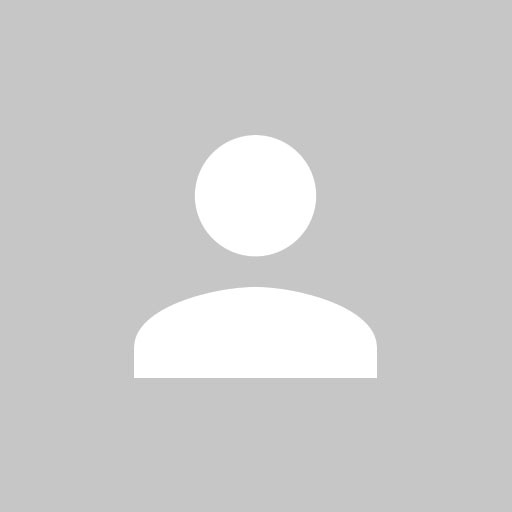 Also, everyone will be able to learn in detail about the Weenzee project and the bonuses that it offers to the first participants and leaders of the project. Among them are “Partner Status”, a training program, and financial support. The whole event will take several hours, so for your convenience you will be provided with drinks and light meals. We are waiting for you and your partners! A FEW DAYS IN MEDAN - DO NOT MISS A MEETING WITH THE LEADERS OF WEENZEE! Developing the blockchain industry in Indonesia, we cannot ignore Medan, one of the largest cities in this country. Mr.Imran, Mr.Fachrurrozi and Mr.Azier - our three professionals will work in this city for 3 days so that as many people as possible have the opportunity to come to the meeting with Weenzee. Recently, we have received a lot of inquiries regarding new methods of depositing/withdrawing funds and creating portfolios. Due to numerous requests, we decided to connect another cryptocurrency to Weenzee - EOS. An important feature of a successful company is using feedback from users and project participants. Therefore, we always try to take into account all your wishes. 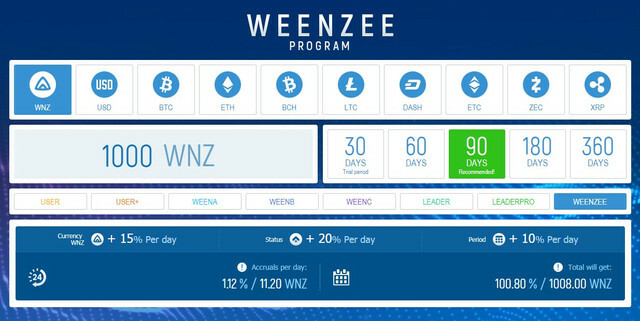 One of them was the connection of new and stable cryptocurrency to Weenzee. GRAND EVENT IN MALAYSIA! MEETING WITH MAJOR INVESTORS! Great projects do not always start with small steps! In Malaysia, partners Weenzee decided to start the project with a large leadership event. What was discussed at this conference, what questions the investors asked, what conclusions were made - this is a brief report for you. First of all, Weenzee was presented - a major international project. 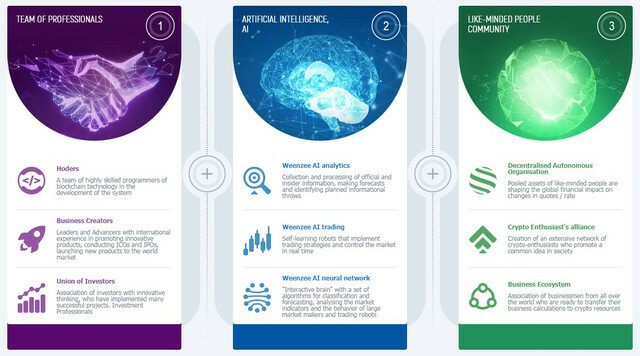 A team of creative managers, talented leaders and professional programmers has created a unique innovative technology - self-learning artificial intelligence, which already brings a solid profit, and in the future can become even more complex and advanced.